Students of Lockwood FCCLA (Family, Career and Community Leaders of America) recently hosted and participated in FCCLA Region 11 STAR Events (Students Taking Action with Recognition) at Church of Nazarene in Carthage, Missouri on January 20, 2017. For FCCLA STAR Events students participate as individuals or teams in their chosen event, and the top two gold in each region advance to compete at FCCLA State Leadership Conference. Rachel Schnelle, junior and chapter president, received gold in the Entrepreneurship STAR Event. Schnelle created a portfolio and gave a presentation on a business plan for starting her own food truck. Rachel Schnelle is advancing to state. Breez Smith, sophomore and chapter officer, received gold in the Career Investigation STAR Event. Smith researched and job shadowed a family doctor. With her research she created a portfolio and gave a presentation on the career of a family doctor. Raven Winefeldt, junior, received gold in the Illustrated Talk STAR Event. Winefeldt wrote an oral presentation on the importance of raising awareness of child abuse. She created visuals to enhance her presentation and help tell a story. Raven Winefeldt is advancing to state. Jessica Dubs, junior and chapter officer, received gold in the Chapter Service Project Display STAR Event. Dubs, with the help of fellow officers, led a community service project called ‘The Naked Turkey’ which collected $270.50 for Christmas presents for children in Dade County. She created a display and presented this project to evaluators. Jessica Dubs is advancing to state. 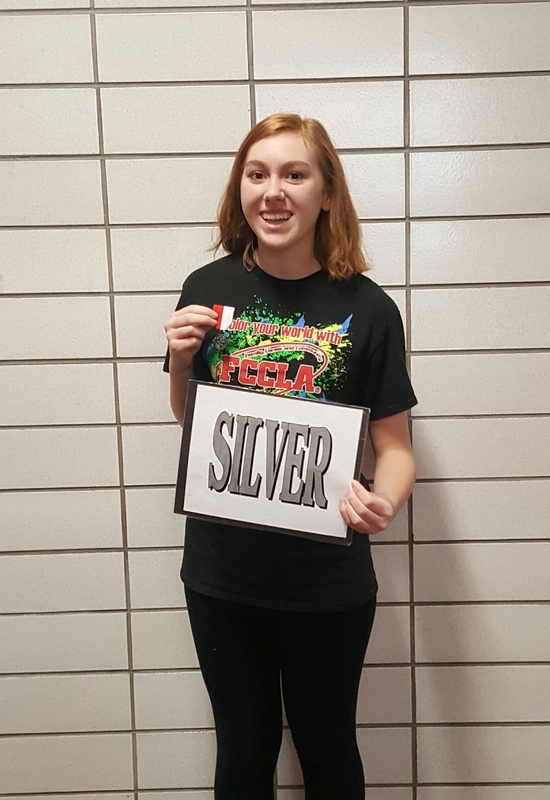 Amelia Stone, freshman, received silver in the Focus on Children STAR Event. Stone taught the prekindergarten class at the Lutheran school a lesson using The Very Hungry Caterpillar. She created a display and presented this project to evaluators. Lockwood FCCLA was lucky to have Hayden Vaughn, Region 11 1st Vice President of STAR Events, take the lead during STAR Events. We had multiple students volunteer to be evaluators and help as needed: Olivia Nentrup, Brady Waters, Noble Foster, Camille Slichenmyer, Daisy Patton, and Elizabeth Cossins. We could not have hosted STAR Events successfully without the community stepping up to help as well: Marilyn Glenn, Linda Eggerman, Carolyn Carrier, Tina Patton, Rebecca Cossins, Elaine Lovercamp, Caitlin Brooks, and Kim Easter. Thank you so much! Lockwood FCCLA was proud to have an increase in participation this year and to have successfully hosted Region 11 STAR Events. The chapter put in a lot of work and is happy to send Rachel Schnelle, Raven Winefeldt, and Jessica Dubs to state to represent Lockwood High School. Our plans are to keep increasing participation in this event. These competitions allow students to take part in interactive projects involving families, careers, the community, and leadership. 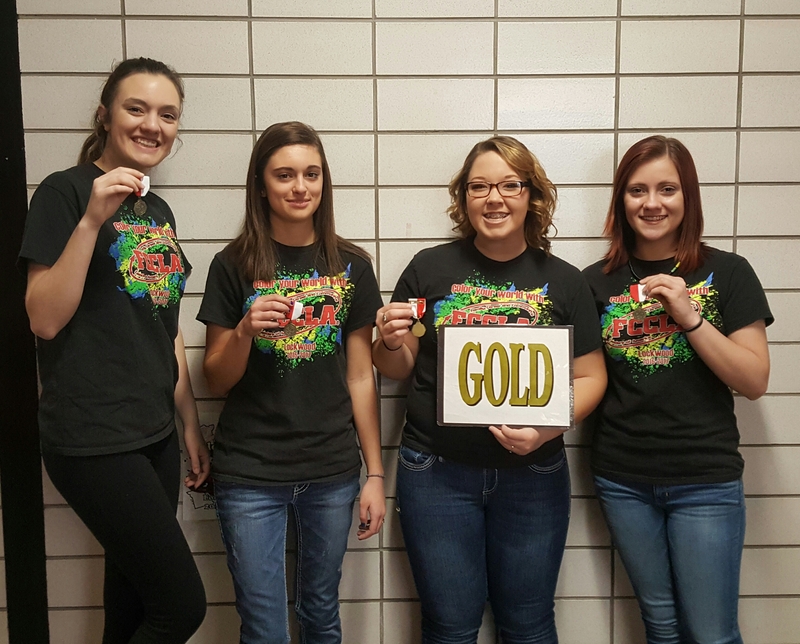 Rachel, Breez, Raven, and Jessica got gold with Rachel, Raven, and Jessica advancing to state competition. Amelia got silver. This was the first time competing for all except Rachel!